HUYA Bioscience International is the leader in enabling and accelerating the global development of novel biopharmaceutical product opportunities originating in China. Extensive collaborations are established with Chinese biopharmaceutical, academic and commercial organizations to speed development and value creation in worldwide markets for China-sourced product candidates. 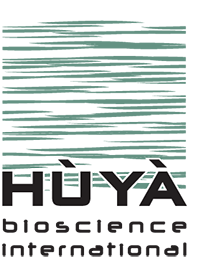 With the largest Chinese compound portfolio covering all therapeutic areas, HUYA has emerged as the partner-of-choice for maximizing the value of biopharmaceutical innovation in China. HUYA has offices in the US, Japan, South Korea, and eight strategic locations across China. With the largest team of scientists working with Chinese innovators, HUYA identifies and advances promising drug candidates globally.